The beet is one of those vegetables that people often overlook. Beets are rich in nutrients and antioxidant compounds, and there are many ways to enjoy them. If you aren't fond of red beets, try the milder golden beets. This recipe is an excellent way to enjoy them, and it works well with red, golden, or the two-tone striped Chioggia beets. Scrub the beets thoroughly. Remove part of the tops, leaving about an inch of stem. Leave the root intact. Wash the greens and reserve them for another use, if desired. 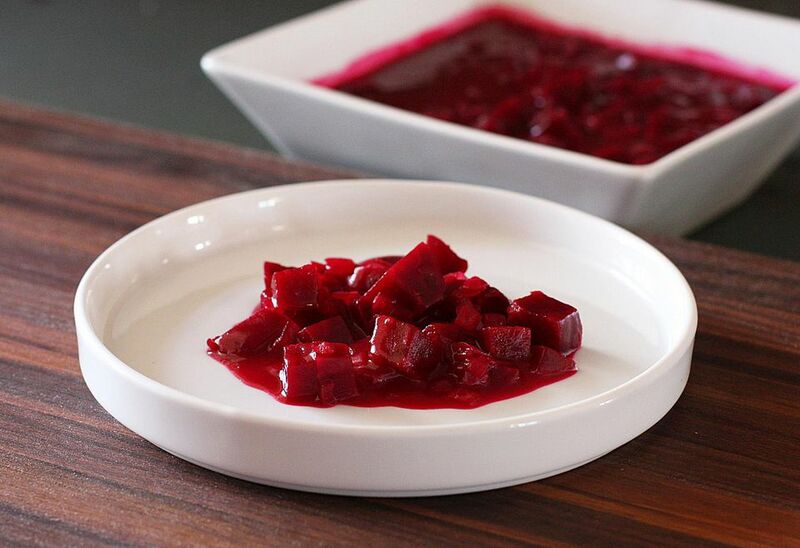 Put the unpeeled beets in a large saucepan, cover with water, and bring to a boil. Reduce heat to low. Cover the pan and simmer until beets are tender — about 20 to 25 minutes. Drain the beets and let them stand until cooled. When they are cool enough to handle, trim the root ends, slip off the peels, and dice the beets. Heat the oil in a large skillet over medium-low heat. Add the onion and saute until it is just translucent and aromatic. Add the garlic and cook, stirring, for 1 minute longer. Add the flour and stir to blend. Continue cooking for about 2 minutes, stirring constantly. Add the chicken broth to the roux and cook until thickened. Add the beets, brown sugar, and vinegar. Bring to a boil. Reduce heat to low; cover the pan and simmer for about 10 minutes, or until the beets are glazed.